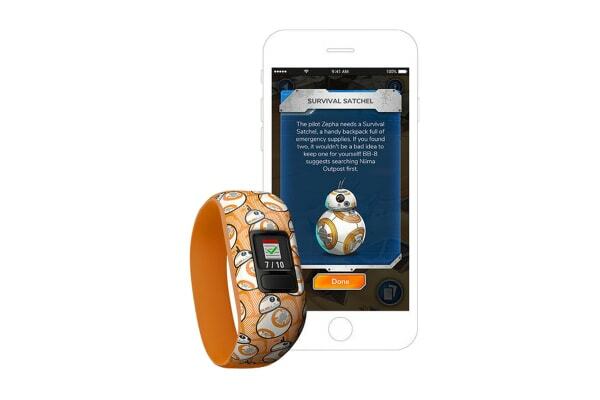 The themed activity tracker for kids. The Force is all around when the Garmin Vivofit Jr. 2 (Stretchy) is on your kid’s wrist. This activity tracker is tough enough to make it through playtime and with 1+ year battery life, there’s no stopping the action to recharge. 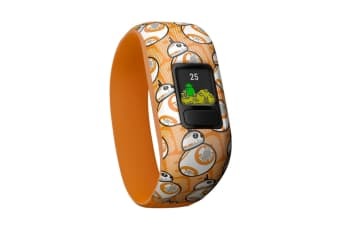 As tough as a star destroyer, Vivofit jr. 2 features a customisable colour screen and comfortable band. Kids can show their Star Wars pride and rock it everywhere from recess to soccer, during bath time and even to bed. The user-replaceable battery will keep kicking for more than a year, no charging necessary. Every day, kids unfold new adventures in the app as they reach their daily 60-minute activity goals, inspiring them to do their best. 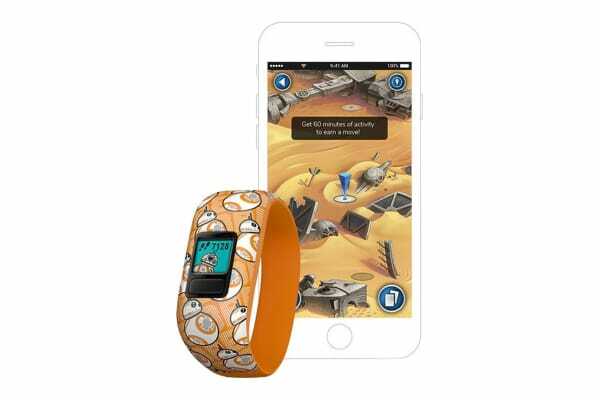 With you as their co-pilot, your little rebel goes alongside BB-8 and the pilot Zepha as they tackle adventures on the planet Jakku. Search abandoned starships for missing parts, meet the smuggler queen, Maz Kanata and help rescue your friend BB-8 when his fate hangs in the balance. Parents use the free mobile app to manage the Vivofit jr. 2 activity tracker. Parents can view activity, responsibilities, sleep and more after syncing with compatible Apple, Android and Amazon Fire Tablet devices. From the app, add profiles for multiple kids to see each child’s steps, sleep, daily activities and chore data when it syncs to your mobile device.